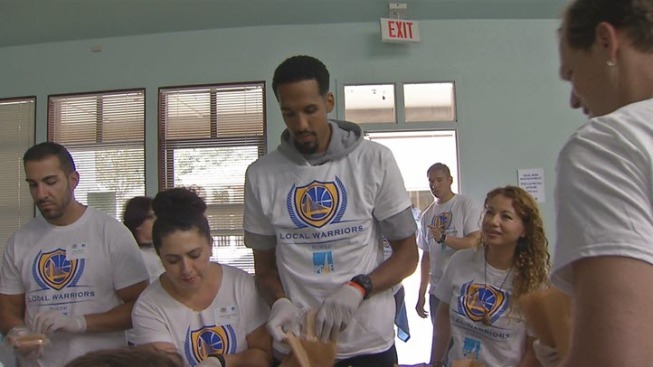 Golden State Warriors player Shaun Livingston spent Tuesday afternoon with volunteers to pack lunches for needy kids in the South Bay. The volunteers gathered at Sacred Heart Community Service in San Jose to make sandwiches. NBC Bay Area anchors Sam Brock and Raj Mathai also spent time lending a hand. About 5,000 lunches will be distributed throughout San Jose for families in need.